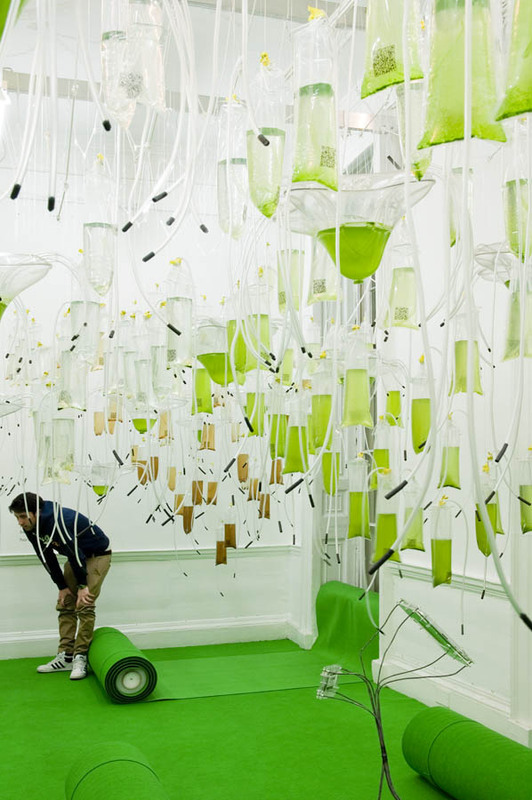 HORTUS (Hydro Organisms Responsive To Urban Stimuli) is a new exhibition from ecoLogicStudio that engages with the notions of urban renewable energy and agriculture through a new gardening prototype. 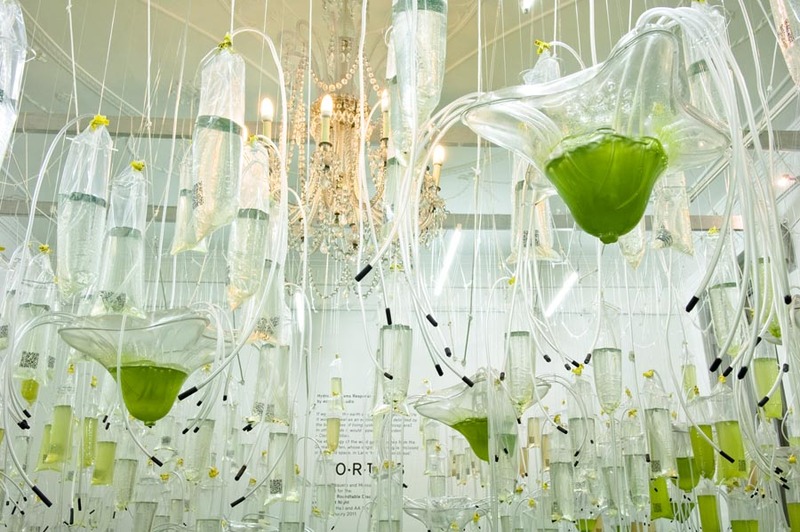 Over a four-week growing period, flows of energy (light radiation), matter (biomass, carbon dioxide) and information (images, tweets, stats) will be triggered to induce multiple mechanisms of self-regulation and evolve novel forms of self-organisation. 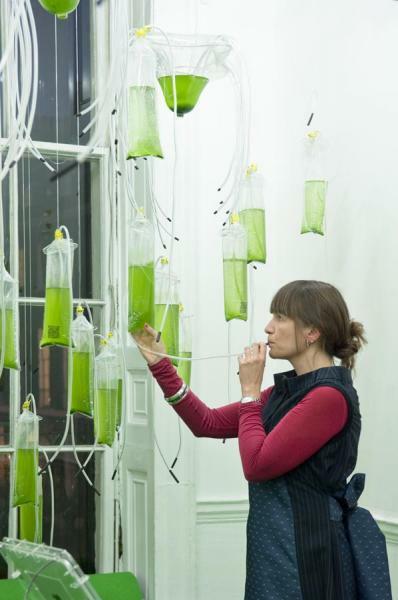 HORTUS proposes an experimental hands-on engagement with these notions, illustrating their potential applicability to the masterplanning of large regional landscapes and the retrofitting of industrial and rural architectural types, as exemplified in the project Regional Algae Farm developed by ecoLogicStudio for the Swedish region of Osterlen. 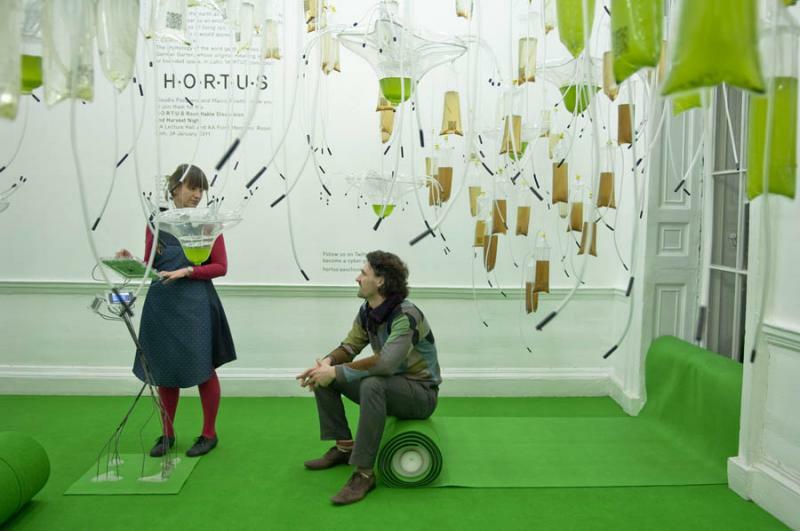 AA students, staff and visitors are invited to engage daily with HORTUS to invent new protocols of urban biogardening. 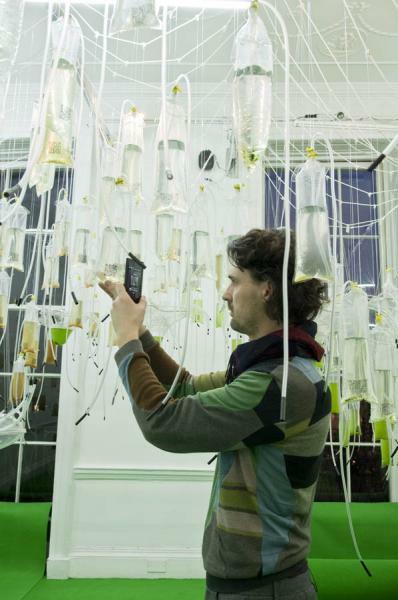 A virtual organism such as this offers the opportunity to capture and build up information and cultivation practices, enriching the material experience of the visitor turned urban cyber-gardener.